Ohio’s largest pension plans are at risk of falling significantly short on their obligations to hundreds of thousands of Ohioans. In fact, Ohio ranks ahead of only Mississippi in terms of the level of unfunded liabilities relative to the size of the state’s income. Despite having assets of more than $150 billion, some estimates show that Ohio needs to increase pension funding by at least $275 billion to be fully funded—that’s almost $25,000 per Ohio citizen. If lawmakers fail to make the decision about how to close the gap now, future generations will bear the burden of higher taxes, reduced government services, or even reduced benefits. Using Ohio government data, economists Erick M. Elder and David Mitchell ran 100,000 simulations of likely investment returns for each pension. 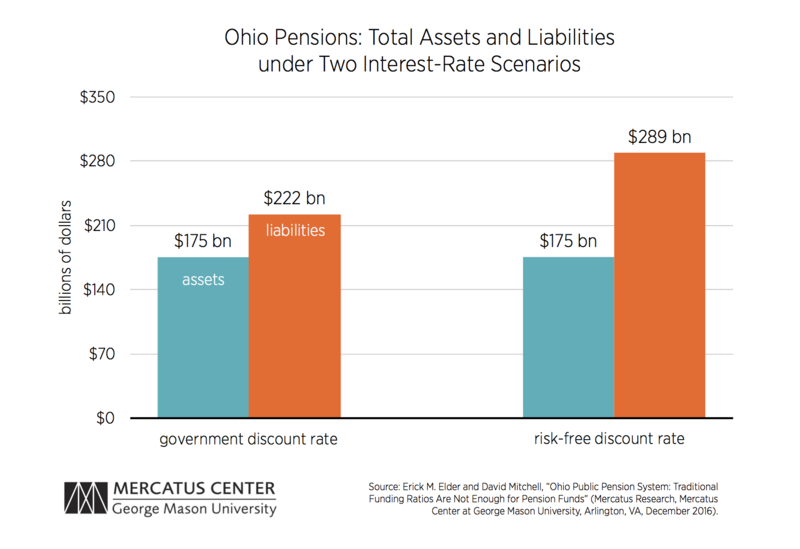 They find that Ohio’s pensions have sufficient assets to pay promised benefits in the next five years, but the probability that assets will be sufficient declines very rapidly thereafter. 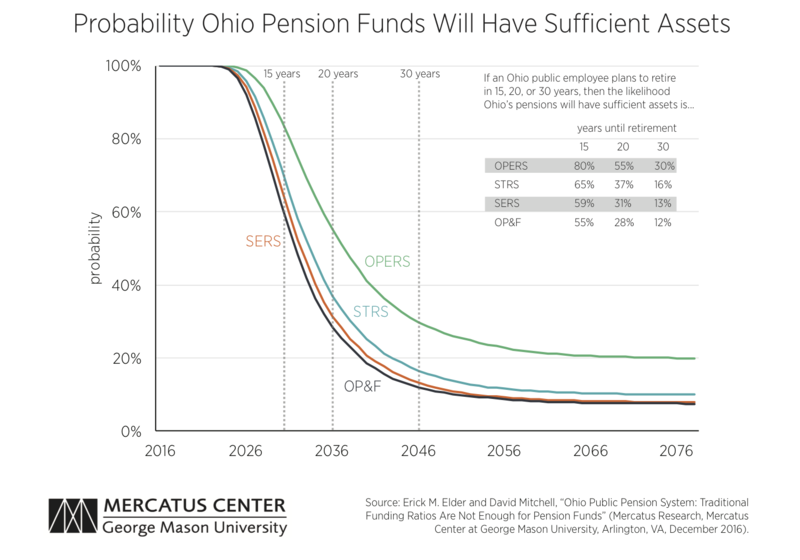 By 2037, Ohio’s largest public pension, the Ohio Public Employees Retirement System (OPERS), has only a 50 percent chance of being able to fulfill its obligations. The Ohio Police and Fire Pension Fund (OP&F) has less than a 25 percent chance of fulfilling them. This tool illuminates the long-run fiscal condition of each of Ohio’s four major pensions. To see how safe your Ohio pension is, select your pension and the year you plan to retire. Your pension has a 30.8 percent chance of failing to pay out in full. Since your retirement is still a ways off, there is an increased probability that your pension obligations will not be fulfilled. The Ohio Public Employees Retirement System (OPERS) is currently underfunded. In fact, your pension is only 86 percent funded. That means there are not enough assets on hand to meet all promised future benefits. Those nearing retirement have a greater chance of receiving their promised payments: adjust the slider above to an earlier retirement year to see what happens. 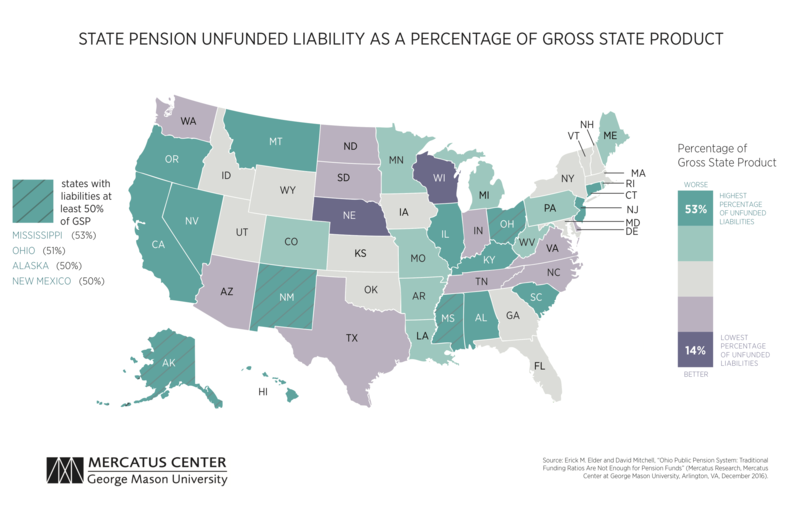 OPERS, like all Ohio's state pensions, is currently underfunded thanks in large part to losses sustained during the financial crisis. Even using the government discount rate, the pension is underfunded. Data show that your pension returns are highly variable. In 2008, your pension had a negative 26.9 percent rate of return, while in 2009, your pension returned 20.1 percent. These big swings in returns are one reason why policymakers have to take underfunding seriously. Even with the reforms passed in 2012, the probability that Ohio's pension obligations will be met in the future drops significantly after five years. In fact, some of Ohio's pensions have less than a 25 percent chance of meeting their obligations in just 20 years. 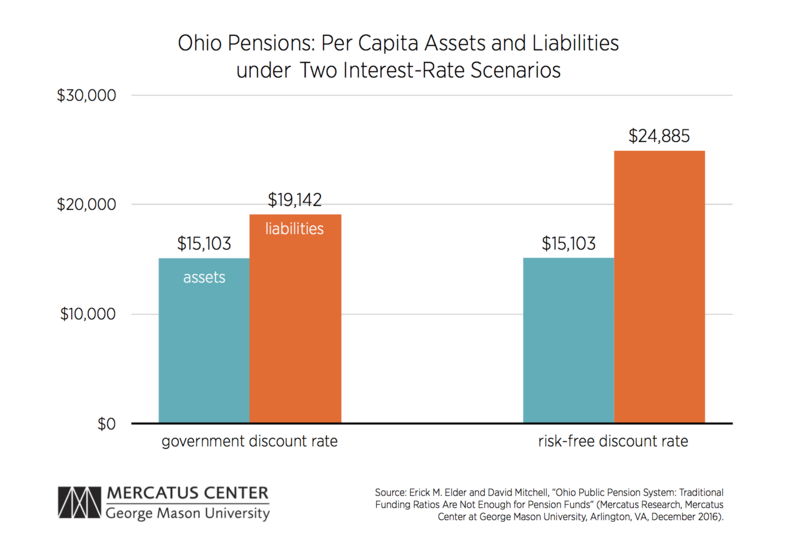 To significantly increase the probability that these pensions will meet their future obligations using the distribution of investments they currently have, Ohio would need approximately two and a half times as many assets as are currently in these funds. However, it is impossible to guarantee investment returns for government pension funds. Even if Ohio lawmakers fully funded these pensions, there is still only a 50 percent chance that the funds will fulfill their obligations. The lack of sufficient pension assets poses a risk to current pensioners, future benefit recipients, and future taxpayers. Pushing liabilities into the future imposes a cost on future generations in the form of increased taxes, decreased spending in other areas of government, or reduced benefits for public employees. Ohio lawmakers should address the problem of underfunded pensions now, before it reaches crisis level. The longer they push this off, the more expensive and painful the adjustment will become for all Ohio residents. Are There Transition Costs to Closing a Public-Employee Retirement Plan?